Baltimore-based blogger sharing experiences, meals, and musings to help others live their best vegan lives. 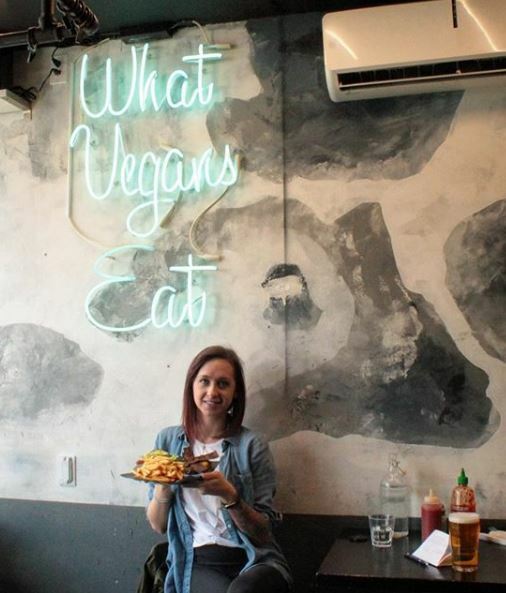 Megan, aka the “Crunchy Vegan Gal,” is tree-hugging city gal with an intense adoration for a misunderstood city. As a Baltimorean through and through, she lives to capture the untold stories of an urban landscape on the cusp of great change. Her fierce dedication to social justice, animal welfare, and ecological sustainability have led her down a now sixteen-year path of vegetarianism and veganism. She is the creative force behind Crunchy Vegan, where she invites all to join her community, to stand alongside her in advocating for a more just and ethical society, and to make our world a better, more peaceful place. Veganism has been so rewarding. I want to share with the world how living compassionately has changed my life for the better, and could do the same for others. I launched Crunchy Vegan in 2015 to do just that. I am an advocate. By day, I am a professional urban planner, where I advocate for people and community interests. In my spare time (when I have it! ), I advocate for animals, environmental protection, and social justice—I hope to give a voice to the voiceless, to elevate the previously underrepresented individuals of this planet. I am energized by volunteering, spending time with friends (vegan and non-vegan alike), and eating lots of amazing vegan food, which I share on Instagram. I live my true north — and that sometimes makes people uncomfortable. They’re not used to questioning certain things about their lifestyles, so I understand if someone struggles to accept new information. I’m learning to work through that defense to help others understand their role in the world and how they can live the most meaningful life for themselves. Posts by me. | Posts about my life. I welcome suggestions and feedback at crunchyvegangal@gmail.com.